Eric Baughman practices the game Rocket League as part of Wichita State's new esports varsity team. Wichita State student Jonathan Gallegos said gamers on campus felt like an afterthought. “The school wasn’t really supporting us,” Gallegos said. This semester, the support came. Gallegos is now a varsity athlete. He competes under Wichita State’s name against other schools across the country. He practices with teammates in Wichita State’s new gaming lab — a room with computers, headsets, controllers and padded chairs for long gaming sessions. “It makes the university more personalized because I know they’re putting effort into something that I desire to do,” Gallegos said. Esports appear on path to become a billion dollar industry this year. Kansas colleges and universities are turning to competitive video games for many of the same reasons they have physical sports — to attract and retain students. 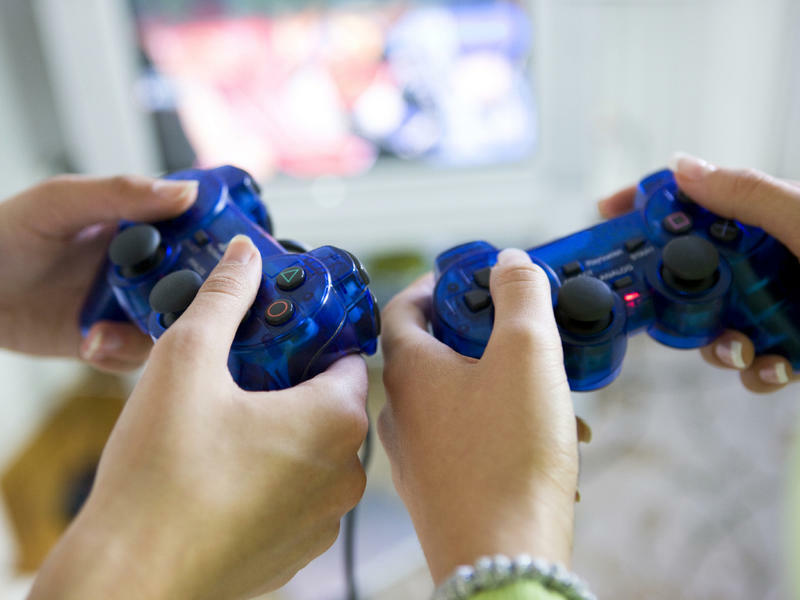 The gaming scene offers a cheap and popular way for large and small schools to connect with students and build their loyalty as fans. More than 1,200 schools are members of Tespa, a collegiate esports governing body. Students compete in leagues, seasons and tournaments similar to traditional college sports. Games include shooters such as Overwatch and Rocket League, soccer with athletes replaced by radio-controlled-style cars. Esports are a relatively cheap way for schools to compete on a national level. Computers, a solid internet connection and chairs cost significantly less than the travel budget for many sports teams. Some universities are investing in esports arenas, complete with 40-foot screens for fans to watch the virtual action while the players sit on stage. But for a startup program, a small room, computers and a profile on the game-streaming service Twitch is enough. While Wichita State basketball has a budget in the millions, its esports program is in thousands. Compared to college football and other collegiate sports that have been around for generations, there is much more room for a school to make a name for itself nationally in esports. 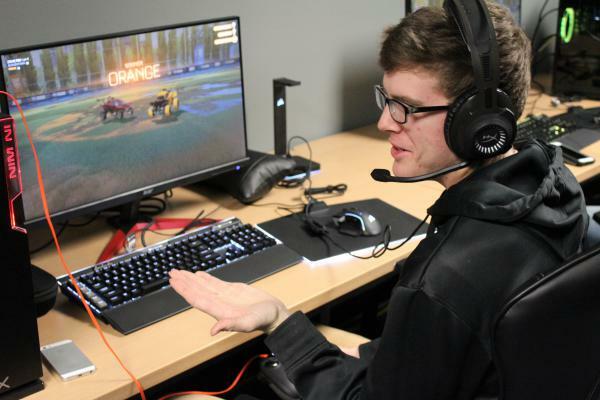 Wichita State is looking for inspiration from Boise State University’s esport program. The university recently built a new downtown venue for its esports team. Pratt Community College in south-central Kansas has fewer than 1,000 students. Yet its esport team competes against other schools across the country, including Purdue University and the University of Wisconsin. Pratt is also holding an esports tournament for high school students, another way to expose the university to possible recruits. Kansas State University and the University of Kansas have esports clubs. KU has a student lounge dedicated to gaming. Yet neither university has a formal varsity team. Esports boosters blame a generational barrier for the reason more schools haven’t invested in esports more fully. “There’s a lot of people in administrative positions that maybe don’t understand the concepts of esports,” said Kevin McCarty, the director of digital media for Kansas State athletics. Wichita State has put more effort into its esports program by creating a varsity team this semester. Staffing is still light — there is one esports coordinator responsible for two teams. Other schools have coaches to train the team. Esports aren’t divided by gender. But there are no women on Wichita State’s team. Despite nearly half of gamers in the country being women, they are underrepresented in esports competitions. Women that do compete often face harassment. “I know in the near future we are going to have a woman that is either a captain of the team or is one of our standout star players,” said Tyler Levesque, Wichita State's esports coordinator. Wichita State has yet to set up scholarships for esports, but more universities are doing so. The main benefits students like Jonathan Gallegos get from playing on the university’s team is the recognition and pride in representing the university. “To have the school back us up and say you can use our name and compete against other schools, that just makes the game seem a lot more real,” Gallegos said. For the past several weeks, the video game industry has been embroiled in a heated, sometimes ugly, debate, under the hashtag #Gamergate. It's a debate about a lot of things and it involves a lot of people, but at its heart, #Gamergate is about two key things: ethics in video game journalism, and the role and treatment of women in the video game industry — an industry that has long been dominated by men. Be A Varsity Player ... In Video Games? The Eagles swept to a win last night in 100 hours of tournament gameplay. Tabbz made the absolute best usage of the shields and heals that were available to him. Froggen went for utility and pushing power, while Nyph's black shields were near perfect, and he hit a bunch of bindings. 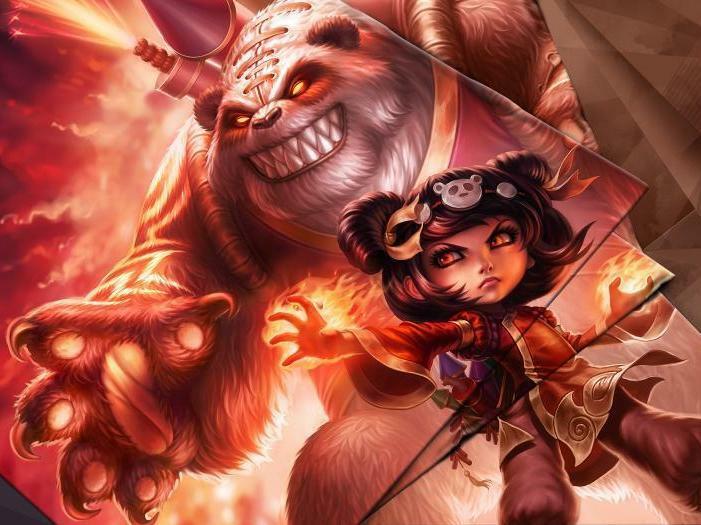 Airwak's Lee Sin kick ended the encounter with a massive multicolor explosion. Monday morning quarterbacking will never be the same.